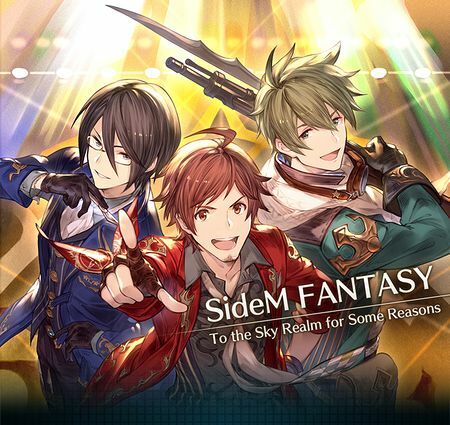 SideM Fantasy: To the Sky Realm for Some Reasons is a collaboration side story with the THE iDOLM@STER: SideM game that became available on April 24th, 2018. It is unlocked after completing Chapter 12 Story - Battle at the Falls . 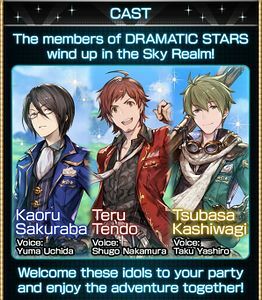 skies is near yet far. they dreamed up, or is it reality? 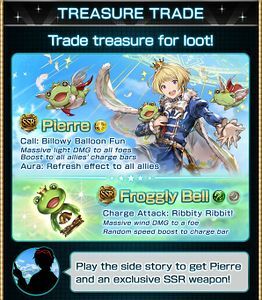 Froggly Bell has an EX type big boost to Wind ATK weapon skill. While harps have a naturally low ATK stat, it's the easiest Wind harp weapon to obtain in the game since it is accessible to all players. 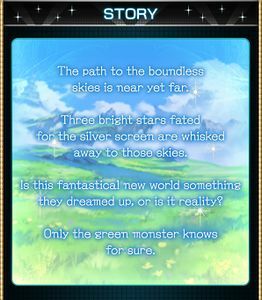 It is worth keeping until you obtain a better Wind harp or EX weapon, due to its usefulness as a main hand weapon for Superstar/Elysian. Croak Head has an EX type medium boost to Water ATK weapon skill. While it suffers from low stats, it is currently the only easily obtainable Water EX weapon before High Level content. 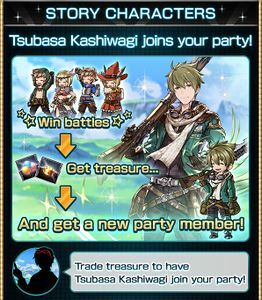 Players who have 3× Steel Brick can use them to uncap this weapon since it has trade limit of 4 per account, if the AP cost of trading multiple copies is a concern. 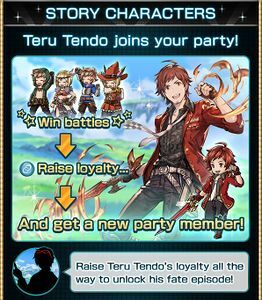 Getting at least one copy if you don't have any other Water EX weapons is a priority. Tadpole Tail has an EX type medium boost to Fire HP weapon skill. The weapon itself has no notable usability except as mainhand for some classes, and is easily outclassed by other farmable Fire daggers due to its weapon skill and average raw stats. 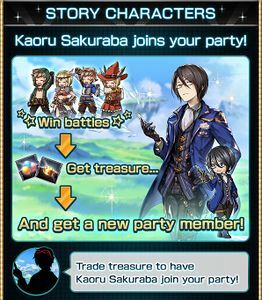 Kaoru Sakuraba and Tsubasa Kashiwagi can be obtained at a very low material cost and are worth unlocking for the Crystal ×50 for completing their intro fate episodes even if you don't plan to use them. Cost to Host: 20 AP Unlock: Clear Camera, Lights, Action! This page was last modified on 1 April 2019, at 12:33.